It’s happened to so many of us – you’re cruising down the highway, enjoying the lack of traffic and the fact that you may just make it to work on time when something flies up and hits your windshield. You may not even see it – you just hear a sharp popping noise and suddenly, you’re staring at a crack in the windshield. While it may not be an emergency that you have to pull over and deal with that very second, it is an issue that needs to be fixed so it doesn’t lead to bigger problems down the road. 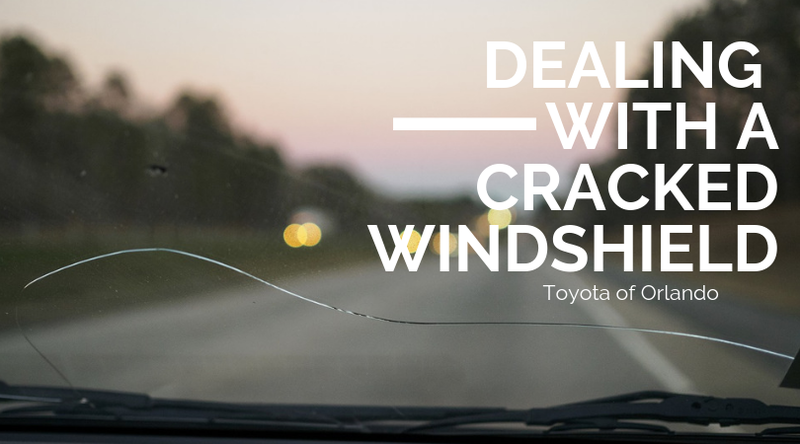 Toyota of Orlando’s body shop is here to explain the ins and outs of cracked windshields and what to do about them. It’s tempting to just ignore a cracked windshield, especially if the crack or chip is small and isn’t right in the middle of your field of vision. Who has time to bring their car into a body shop for repairs and who wants to pay for them if the damage isn’t large or noticeable? First of all, it’s illegal to drive with a cracked windshield in the state of Florida. If a police officer pulls you over, you can be ticketed. If the damage is bad enough, your car can even be towed – all of this is explained in statute 316.610, where it states that it’s illegal to operate a vehicle that’s unsafe or a danger to other drivers. You’ll save yourself time, money, and stress if you just deal with the crack yourself and get it fixed. Another reason you should never ignore a cracked windshield is that no matter how small the crack, it’s still a crack. And that means that it’s affecting your windshield’s structural integrity. The chances of the crack or chip growing larger are high and then it becomes very dangerous for you to get behind the wheel. It’s best to contact your local Orlando body shop and deal with the issue while it’s still small and more manageable. Here’s the good news – because there’s a statute deeming it illegal to drive with a cracked windshield, there’s also a Florida statute stating that auto insurance companies must repair or replace a cracked windshield with zero deductible… in other words, for FREE. So what should you do? Our Orlando Toyota body shop recommends that the moment you see a crack appear in your windshield, you call your insurance company and report the claim. You can work with them to schedule a time and place to have your windshield either repaired or replaced, depending on the severity and size of the crack. They can even send someone out to do it while you’re at work! It’s that simple and remember – it’s 100% free through your auto insurance. If you have questions, call our body shop today! 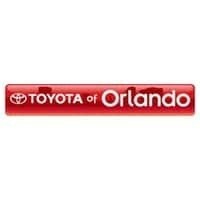 Toyota of Orlando is conveniently located at 3575 Vineland Road, just off I-4 near the Millenia Mall, and you can reach us at (407) 298-6006.